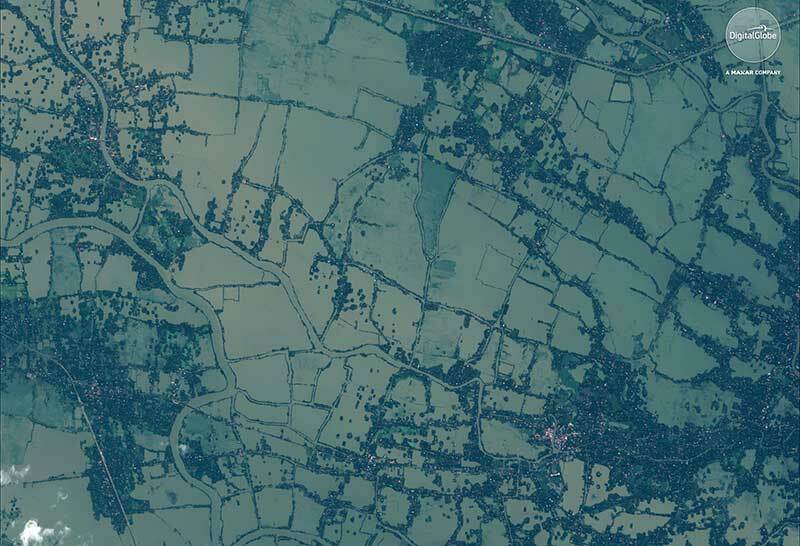 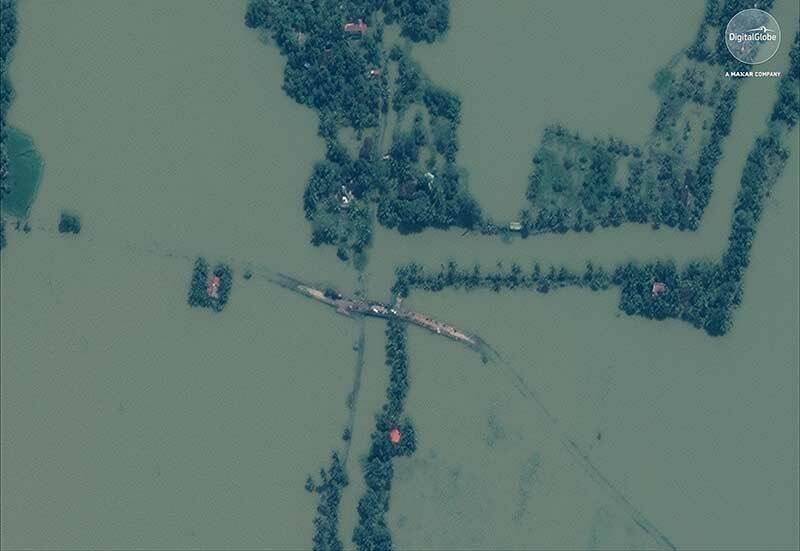 DigitalGlobe has released pre- and post-event satellite imagery of the areas in India affected by heavy flooding. 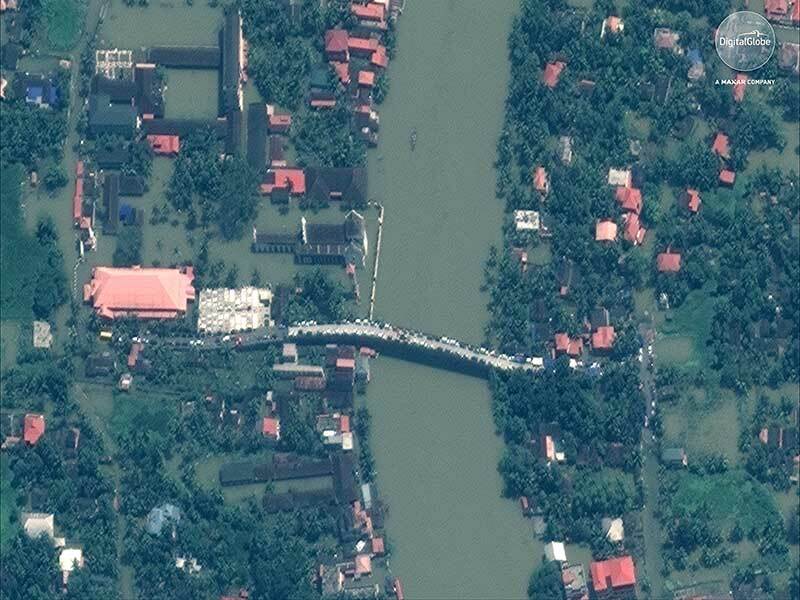 According to the company, massive flooding devastated the Kerala state of India in late May and early August. 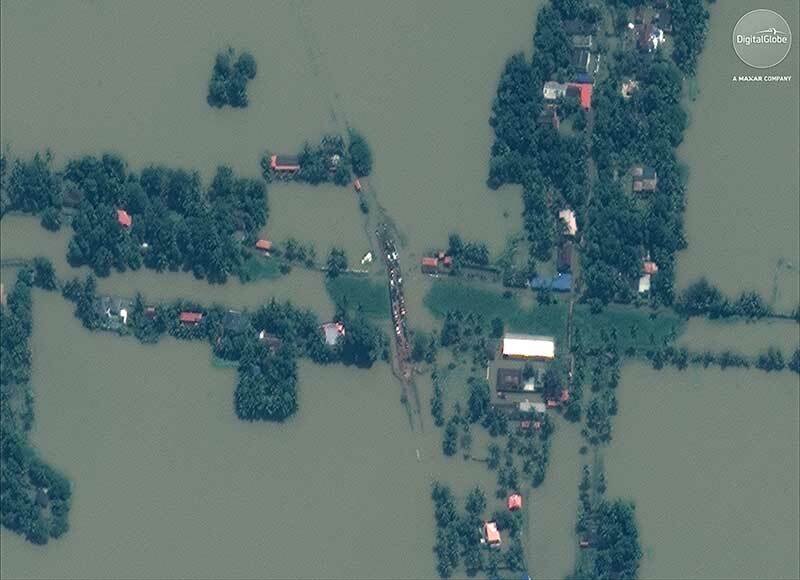 At least 164 people were killed and more than 223,000 were displayed from their homes and are living in relief camps. 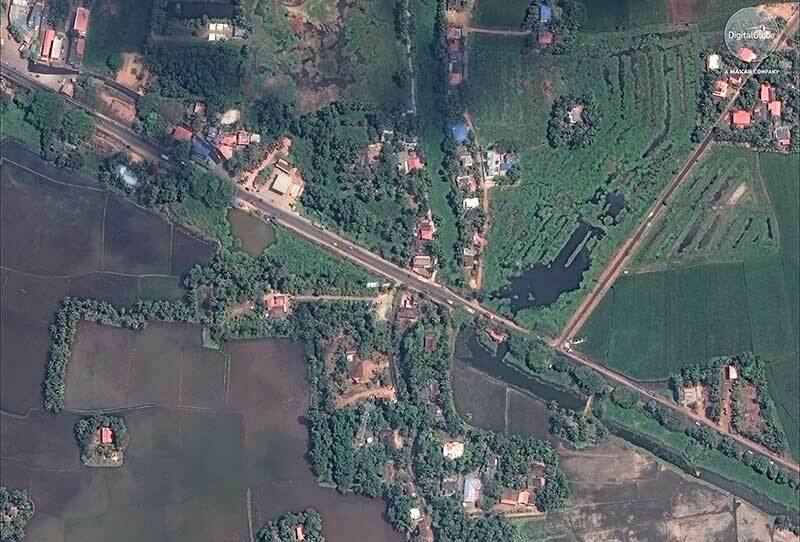 In addition, Kerala has seen 40 percent more rainfall than normal since June, which has triggered landscapes in several districts. 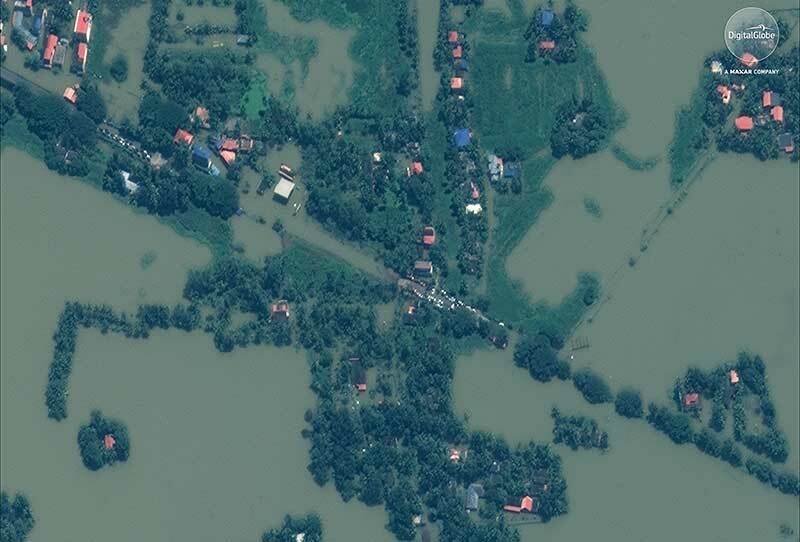 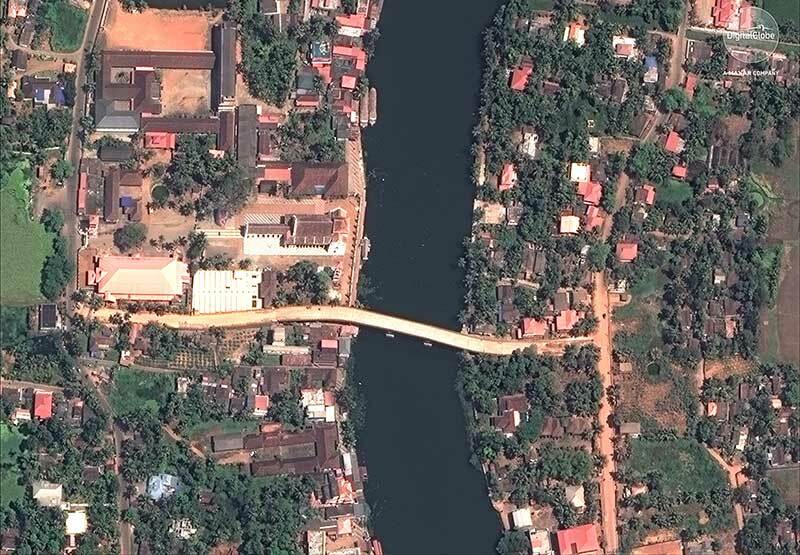 In an effort to support disaster response and as a part of its Open Data Program, DigitalGlobe decided to publicly release the satellite images. 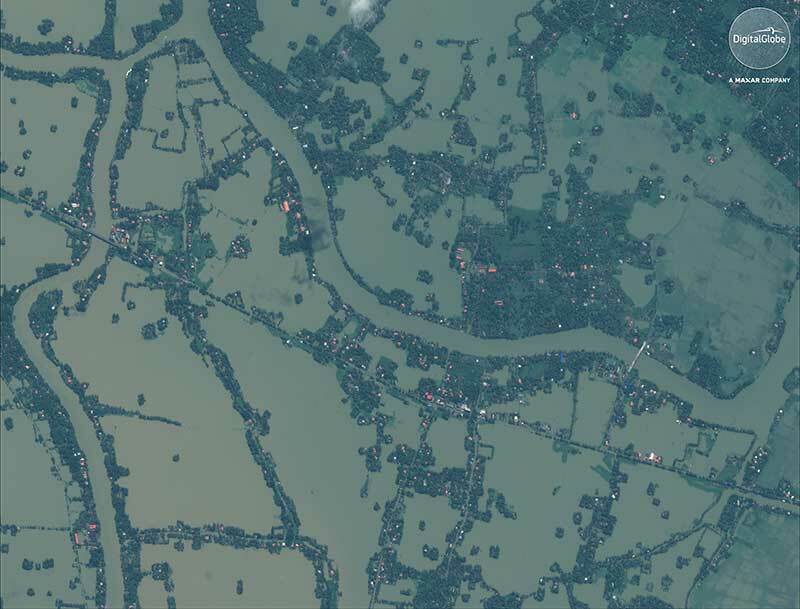 According to the company, its Open Data Program supports the humanitarian community by providing critical and actionable information to assist response efforts. 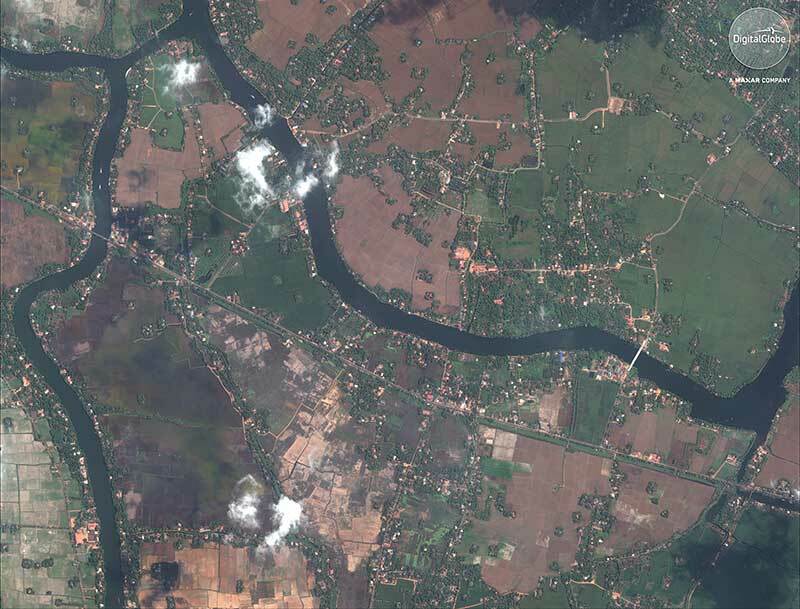 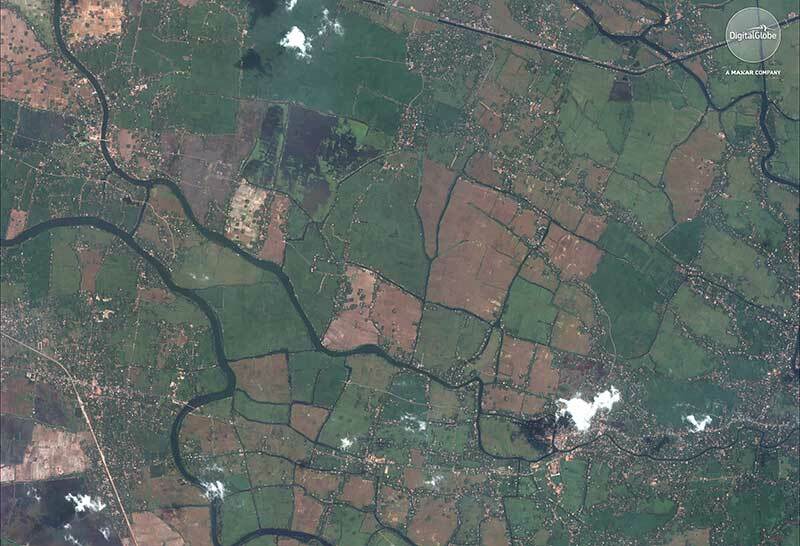 1 Comment on "Satellite imagery details historic floods in India"